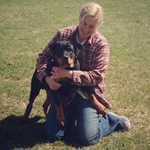 As a long time dog trainer, I’ve established a routine that I go through with my training clients, a routine of commands that serve more than one purpose. As dog owners, the first thing we tend to teach is “Sit” followed by “Stay” usually followed by “Come” but not many of us have a dog that will sit while company comes over, or come when called at the dog park… not saying that reading this article will give you that but it will give you some real-life skills that are not commonly used by pet owners that can be of great value to you and your dog. 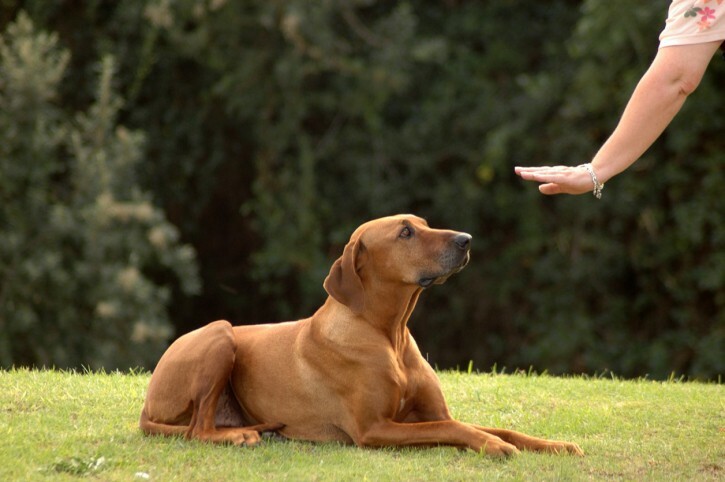 The release command is not something I see taught often in group obedience classes and almost always I need to explain what a release command is to a training client. A release command is a command that you use when the dog finished an exercise… so it tells the dog the exercise is over and you are free to go about your business. This becomes important because it allows us to get rid of “STAY” all together and just use a release command for all behavior. It works like this, ask your dog to “SIT” and then wait a few seconds and use a release word like “FREE” or “BREAK” or “OK” really any word you want as long as it’s the same word… encourage the dog to get up and reward the dog… then lengthen the amount of time and add distractions slowly until it’s reliable. It makes communication with your dog more effective and gives your dog something to wait for before bouncing out of a sit, heel or a down by their own choice. All of my training clients and personal dogs learn place command, no matter what their training or behavior issues. Is such an effective command for providing mental stimulation, impulse control and teaching your dog to relax which is the opposite of what most dogs experience. People have an anxious or nervous dog and then automatically think high-intensity exercise and training will make it better and often it doesn’t. Place command is the perfect solution to get dogs to tune in, relax on cue and gives them something to do as a replacement for many annoying or dangerous habits around the house. To teach your dog place take them to their bed or mat and once 4 feet are on it you can say “PLACE” and then ask them to “Down”… if they try to get off the place you simply move them back until they relax and hopefully fall asleep. Place should be practiced for at least 30 minutes each day to maintain the effect. Your dog should not move from place until you give them the release command (see above) You can slowly ask them to place for longer periods of time and add distractions like a visitor as they become more successful with it. When I worked with service dogs this was always one of the first things they learned and was enforced at all times. It is excellent for giving dogs awesome impulse control. Control the door basically means sitting at all thresholds (crate door, exterior and interior doors, gates) and waiting for the release command before proceeding. This stops bolting and teachings dogs that even though a door might be open it doesn’t mean you can race through without permission. To start this you simply have your dog “SIT” at every threshold, open the door while the dog remains sitting and then release the dog to move through the doorway. If you are consistent with this exercise you will end up with a dog that will automatically sit at every threshold and wait for your permission to proceed. “HERE” is always my choice for recall commands, I feel like dogs hear the word come way too many times to make it a formal command so I always change it to Here when reteaching it. I also expect the dog to respond to “HERE” by coming to me and sitting or lying down at my side or in front of me and staying there until they hear the release command. Its great to have a dog that comes when they are called but if they are just coming to run past you or coming and darting off it’s not of much practical use. This is great for people who love the dog park, use off leash trails, campers etc… having a dog that comes when called can be a lifesaver, and adding that extra sit or down at the end until released can be great insurance if you are recalling your dog away from a dangerous situation. Another awesome exercise that is practical for daily use and also allows your dog to develop amazing impulse control skills. Leave it usually means food but I use it for almost everything (rabbits, people, dogs etc). I always start to teach it with food and it's a great compliment to the “PLACE” command. Put your dog in place and put a treat about 2 feet out of reach and when the dogs look at the treat you can say “LEAVE IT,” once the dog looks at you for guidance you can release the dog from place and allow them to get the cookie. Once the concept is there, you can transfer this to food dropped on the ground, dead animals on a walk, other dogs that might not seem friendly and people that you don’t want your dog greeting.